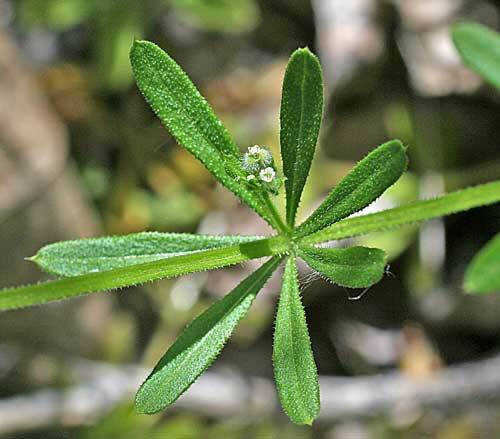 The leaves of Cleavers, a straggling, short-lived plant that pushes itself through gaps in bushes and hedges and finds any piece of available earth to take a foothold on and then grow sticky leaves to catch a hold of any passer-by in order to spread itself some more. Cleavers is not the most popular plant in the human world, but it is most certainly a survivor! 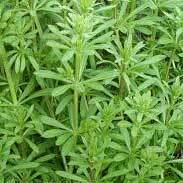 In reviewing the literature on Cleavers, one has to come to the conclusion that this herb has an astonishingly powerful reputation for such an unprepossessing plant! In the ancient world Cleavers was used to treat cancer. 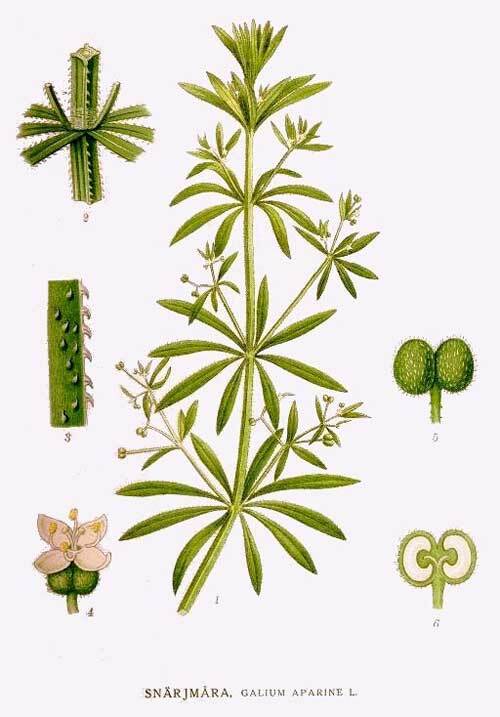 Gerard wrote of Cleavers as a marvellous remedy for the bites of snakes, spiders and all venomous creatures. One of the founders of Roman medicine, Galen, described it as a cure for obesity writing 'it can make fat folk lean'. Cleavers is an old treatment for one of the toughest of all skin problems; psoriasis, it has even thought to be able to help dissolve small kidney stones! The British Herbal Pharmacopoeia (BHP) describes the actions of Cleavers as 'diuretic & miuld astringent and says it is indicated for 'dysuria (painful or difficult urination), lymphadenitis (inflamation of the lymph nodes) & psoriasis and specifically indicated for 'enlarged lymph nodes' The BHP recommends doses of 2-4 grams or by infusion and the extract at a dose of 2-4 mls. Thomas Bartram writes that the actions of Cleavers include 'lymphatic alterative and detoxifier, diuretic, astringent tonic, non-steroidal anti-inflamatory, anti-obesity, adaptogen, anti-neoplastic. He suggests uses for it including enlarged lymph nodes, especially cervical neck nodes, cystic and nodular changes in the glands, nodular goitre, dry skin disorders, psoriasis etc. Bartram suggests doses of 1 tsp to a cup of boiling water, infused for 5-15 minutes or 2-4 mls of the extract. There are no adverse reactions in the medical literature with Cleavers. 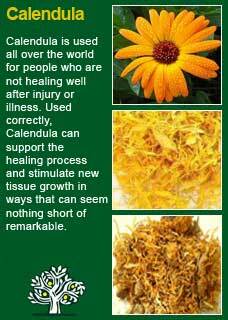 If needed, then it can be a herb that is used in strong doses for extended periods for all ages including children, pregnant or breastfeeding women. As a soft caution I would suggest that, due to its cooling action, that when this herb is being used by someone from a cooler constitution (this subject is introduced further below) that they check that they are not going too far to the cold after being on it for a while, e.g. feeling more sensitive to the cold or more aggravated by it than usual. 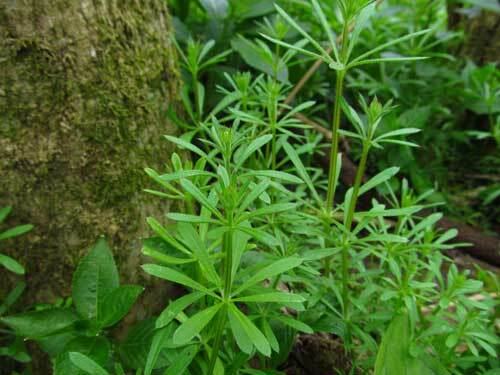 In combination with other great cleansing herbs, I've seen Cleavers help people get out of some difficult corners in their health and have developed a lot of trust and respect for it. Including on the same basis of how it grows as a plant; never underestimate the scrappy little guy that gets places by dint of not being afraid of taking on things much bigger than itself! I think that Cleavers is a plant that it is wise to get to know in person to really appreciate just what it can do. For anyone studying herbal medicine, or perhaps has a keen interest in learning more about these great plant allies for their own reasons, I recommend the ancient practice of taking a small dose of the tea or tincture of Cleavers and then, with an open and attentive mind, watching how it makes you feel within. 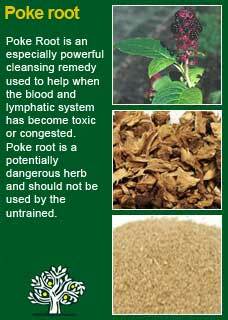 What you can experience by doing this is a sense of the herbs 'action' i.e. what it is actually doing in the body. Without wanting to overly influence your own experiment should you do this I will say that in the case of Cleavers this will likely not be an obvious 'hit you in the face' kind of sensation but that you may well get a visceral sense of how deeply it can move congested 'blocks' in the body. 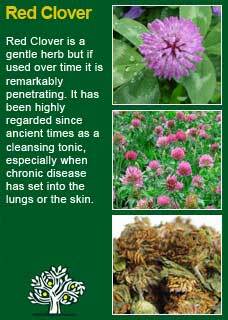 Cleavers is exactly the kind of remedy that can be best appreciated in such an 'experiential' way. I think that it was this kind of experience of the herb in action that led it to being used for such terribly serious problems as cancer and why it was even believed to help fat people become lean! 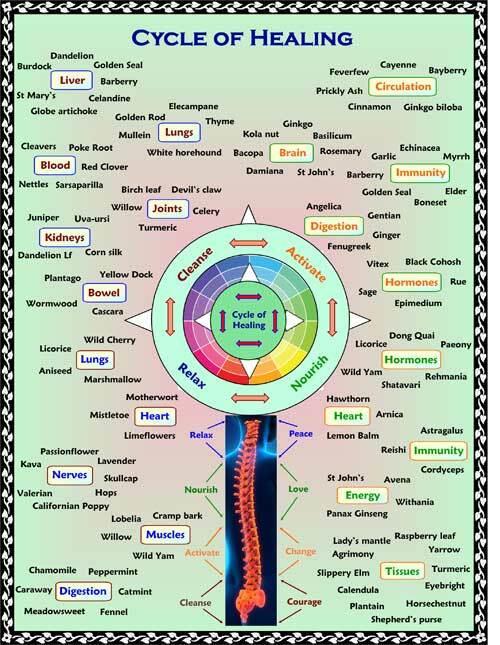 I see that Cleavers has the ability to get into hot spots of the body, places where the ‘chi’ or energy has become stuck and stagnant and then get that block to move! 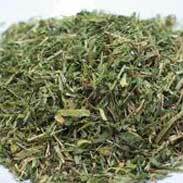 As with so many of our herbs much of the 'art' is not just getting the right remedy but also getting the right dose. 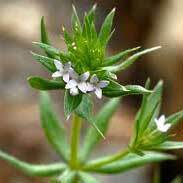 Cleavers is quite generous in the sense that if you take more than you need that it will not do you any harm but there is a threshold beyond which taking bigger doses does no further good in chronic problems. For most people, I feel that upper level to be around just 3 or 4 mls of the tincture in a day and perhaps around 3 or 4 grams a day if used in a tea. It is perfectly possible that considerably smaller doses, a half or less of that, will work just as well for the person who is more sensitive to its action. In any case these are dose levels for someone using Cleavers over a reasonable time frame, at least a few weeks. An important point to grasp with Cleavers is that the longer you use it the better it works. To stimulate the healing process Cleavers combines perfectly with the other great blood and lymphatic cleansers of herbal medicine, namely Calendula, Red Clover and Poke Root. Much of the information here about the traditional uses of Cleavers is consistent with the model of thinking whereby one may treat problem A with plant B. There is value in this approach, especially in how it helps us pass on useful knowledge to one another, but it falls short in one vital area; and that is that people are not all cut from the same cloth! Something that works brilliantly for one person may do less for another -- why is this?